Back in February for NBA All-Star Weekend, Nike released Mirror-version of the Nike Air Foamposite One. It looks like the swoosh is looking to capitalize off this with a similar colorway for the sneaker. 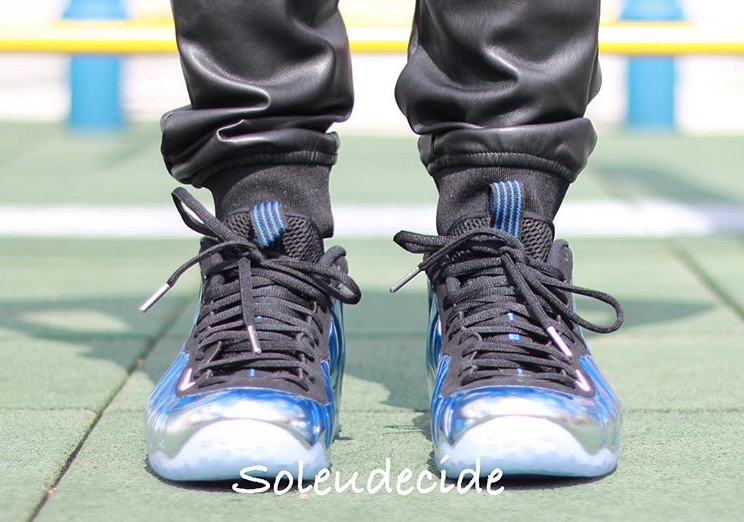 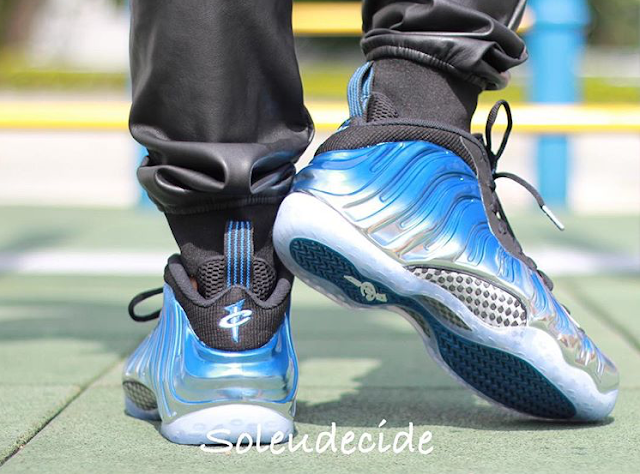 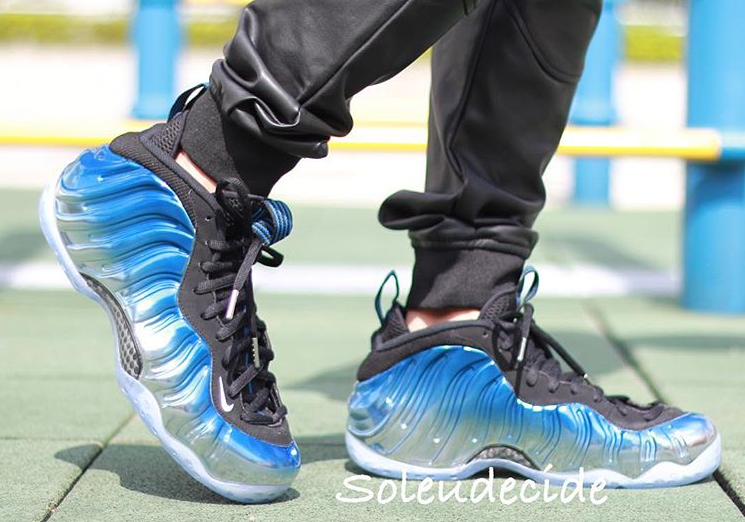 Here we have the "Blue Mirror" Foams, which features a black upper accompanied with the blue-tint mirror design on the Foamposite material. 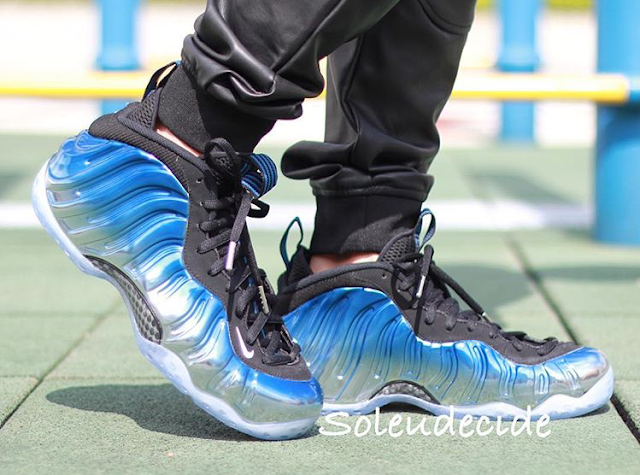 It is finished off with an icy blue sole. No word yet on when or if these release, but we have some nice on-feet photos of the shoe thanks to Sneaker Bar Detroit. 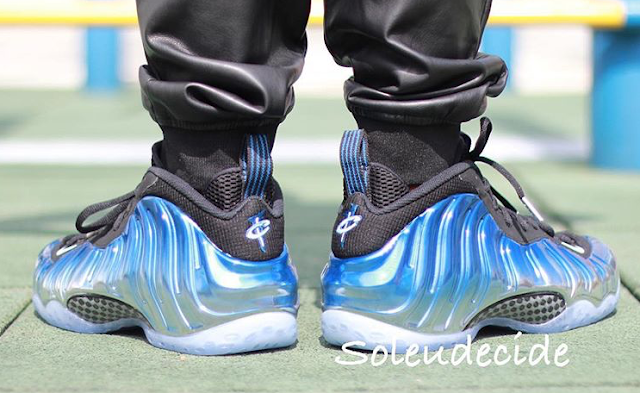 Let us know if you plan to cop these.